As we head into the cooler months, we may notice changes to texture, tone, perhaps some breakouts and overall ruddiness and damage from being outside enjoying the summer. Here are some of the most common post-summer skin issues I see in my practice along with some solutions for them. Days at the beach or pool can lead to sunspots even if you apply sunscreen. We cannot reach every spot, and sometimes we forget to reapply after swimming. Also, even when wearing polarized sunglasses, we may put them on our heads; temporarily squinting leads to crow’s feet. If you’re noticing some new spots, freckles and wrinkles, reach for a retinoid. Your dermatologist can offer prescription strength creams. Deeper wrinkles, like the ones between the eyes, usually require something like Botox, but you can minimize the appearance with creams that feature glycolic acid or alpha hydroxy acid. These are wonder vitamins for the skin that stimulate skin shedding and cellular turnover. A serum used at night will help; but be patient and use it regularly to see a gradual change. Chemical peels and intense light treatments (IPL) can handle any discoloration. Consistent heat and humidity, combined with cell phone use and touching our faces after touching dirty surfaces, can lead to a post-summer breakout. These breakouts can be cystic which means bigger, deeper, more painful pimples. It also can lead to a cycle of breakouts that include, treat, pick, peel, scar, and heal only to see another pimple and another. Over-the-counter acne treatments such as face washes with sulfur, black charcoal masks and soaps, and spot treatments with benzoyl peroxide can certainly help. However, when the breakouts are consistent a dermatologist can assess your skin and present solutions that may even involve nutritional changes, vitamins and light therapy for mild or moderate acne. We all know about wintertime lip chapping. In the summer lips can get incredibly dry as well. Using a lip balm with SPF is very helpfu,l but unless we are applying it regularly while at the beach, pool, or working out outdoors, one swipe under lip gloss isn’t enough. Drinking water, and keeping alcohol consumption to a minimum, helps keep us hydrated. When we are dehydrated, we see it on our lips. Pay close attention to any freckles or discoloration to the lips after prolonged sun exposure. If you notice any odd changes, see your dermatologist. If you are often in chlorine or salt water you’ll find your skin to feel rough and dry almost as if it is shedding. Also, transitioning from extreme heat to cool air conditioning leads to skin going from perspiration to goosebumps. This rapid drop in temperature affects skin. Taking lukewarm showers and using a gentle exfoliating skin wash followed by a hydrating moisturizer keeps skin supple. Add a few drops of vitamin E to your lotion for nourishment. When it comes to the face, peeling foreheads and noses points to sun damage. Oftentimes people wait until something is visible to them. 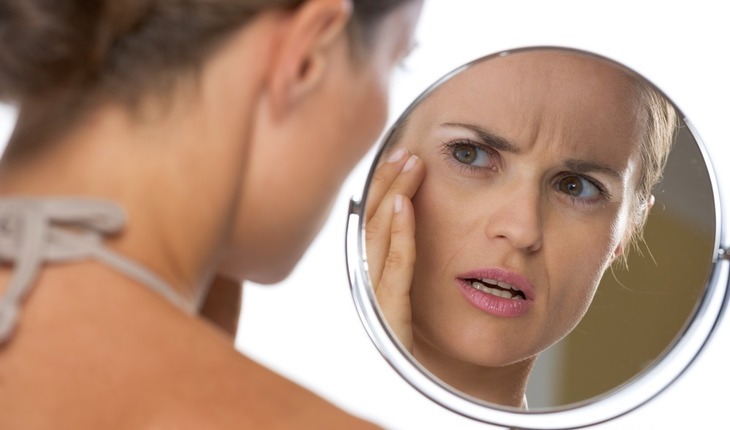 Dermatologists can look at your skin with a more discerning eye and can use magnifiers that enable them to flag something that could escalate into something more. If everyone put October on their calendars as the month to see a dermatologist for a skin check we would see many skin conditions be solved more quickly, including serious illnesses such as melanoma.